Flower colors can range from pale purple to deep sapphire depending on age, light, time of day. Paddling with other horticulturally-minded people means extra time on the water, paddling back upstream to get a closer look at the flowers along the bank. This trip was no exception. 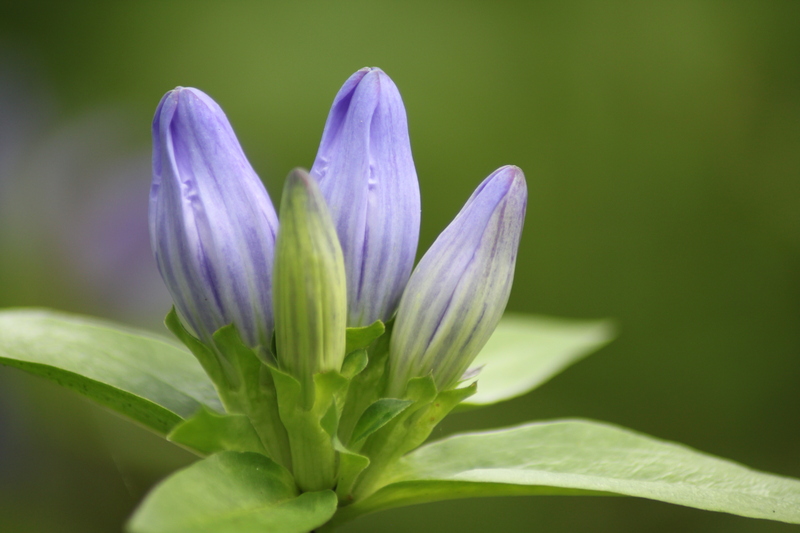 Today’s distraction – Closed Gentians. I don’t know if it is the seeming simplicity of these flowers, the intense color or their apparent rarity that makes me stop (or paddle back upstream) to look at them, closely, and for a while, every time I see them. This day these were blooming along with White Turtleheads (Chelone glabra), and Red Cardinal Flower (Lobelia cardinals). Categories: Native Plants, Plants and Art, Road Trip! | Tags: Closed Gentian, Gentiana clausa, Griffis Sculpture Park, Lehigh River Kayaking, native plants, summer | Permalink.